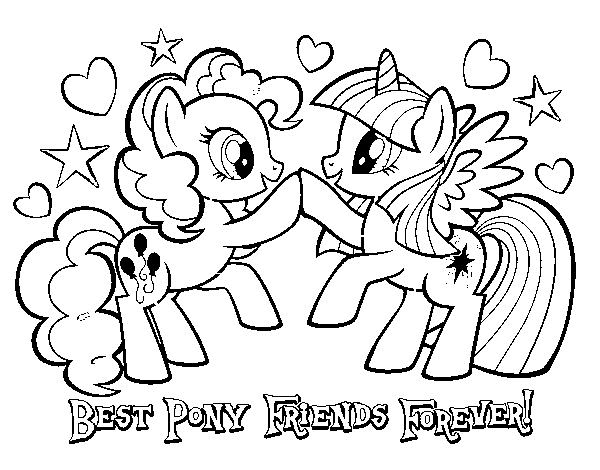 Best Pony Friends Forever coloring page to color, print or download. Color online with this game to color My Little Pony coloring pages and you will be able to share and to create your own gallery online. Thank you so much for every thing! I loved this picture! Thank you so much for every think, Thank you so much! Best Pony Friends Forever coloring page to color, print or download. Color online with this game to color My Little Pony coloring pages and you will be able to share and to create your own gallery online. Best Pony Friends Forever coloring page ©2019 - HispaNetwork Publicidad y Servicios, S.L.